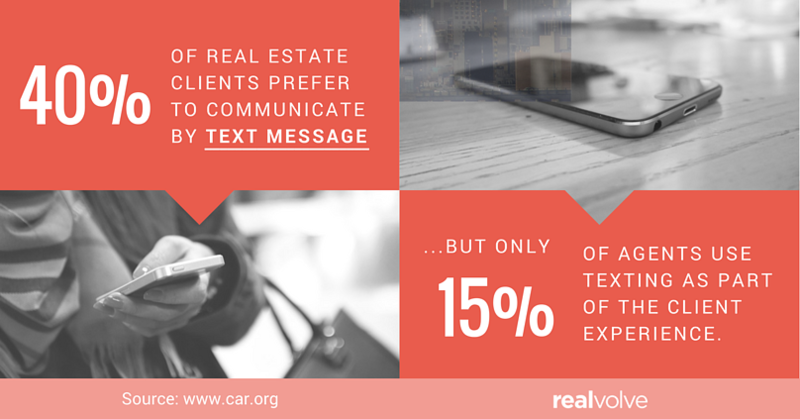 Did you know that 40% of real estate clients prefer to communicate by text...but only 15% of agents do so? According to a report prepared by the California Association of REALTORS, the majority of real estate agents are not taking advantage of text messaging. Have you incorporated this into your process? If not, it’s time to give texting a try! Read on to learn how to make texting an effective part of every step of your process, from lead follow-up and marketing to the client experience and your repeat/referral strategy. First of all, you might hear texting referred to as SMS messaging. SMS stands for Short Message Service. Second, the three tactics listed below involve sending automated text messages. That means you’ll need some sort of tech tool to execute these ideas. 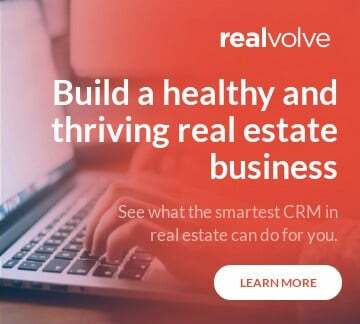 We suggest using a real estate CRM that includes SMS functionality (like Realvolve). Now that we’ve covered those basics, let’s get to the good stuff. One slightly alarming finding in the report by CAR is that 49% of buyers expect an instant response when they reach out to you. But what if a buyer is online at 2 AM searching for houses on your website and decides to fill out the form to shoot you an email? You’re not going to see it until the morning. Meanwhile, the buyer has found another property on someone else’s site, emailed that agent, and received a response just a few minutes later. BAM. You lost a potential client and future repeat business. All because you go to bed at 10 PM (which will now be followed by many sleepless nights). Text messages as auto-responders are smart because they have a much higher open rate than emails—in fact, 98% of text messages are opened! That’s hard to beat. Text messages can be a great way to send important reminders to your current clients. In Realvolve, you can set up your workflows to send automated text messages to remind clients of any important dates you have entered into the system. One example is to set up an inspection reminder text message that will send two days prior to the inspection date. Before you do this, however, you should ask the client how they would like to hear from you. While millennials may prefer texts, older generations might prefer email or even a phone call. In Realvolve, you can use tags to set the client’s preferred means of communication..
Two weeks after close: How is everything going? Are you getting settled? One year after close: Can you believe it's been a year since you bought your home? Congrats!" On the client’s birthday: Happy Birthday, [name]! Sometimes even the smallest touch can have a big impact. Incorporate text messages as one more touch in your repeat/referral strategy. Should you implement a texting strategy? 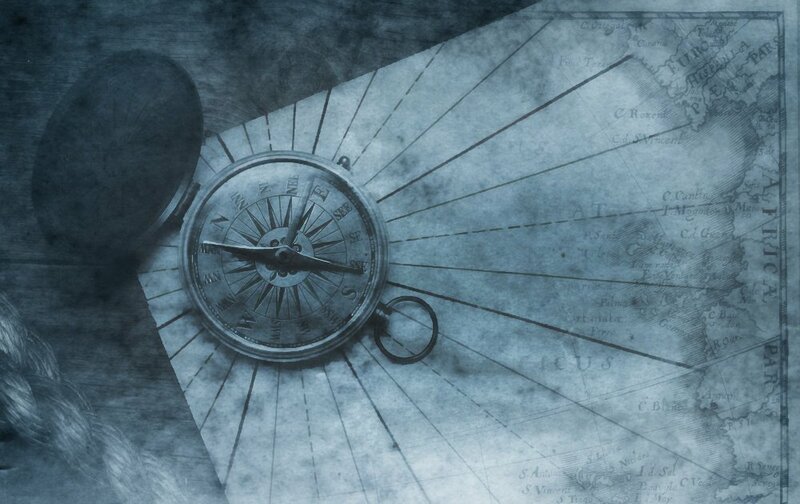 There is certainly a right time and place for text messaging. Should you completely eliminate your warm-calling strategy? No. Should you use texting for all of your leads and clients? No. Texting isn’t a replacement for smart phone outreach or face-to-face interaction. And not everyone wants to communicate by text message. But an automated text messaging strategy can be extremely effective for providing instant follow-up, staying top-of-mind, sending quick reminders, and even wishing past clients a happy birthday. So go ahead—add automated texting to your real estate process, and watch your business grow!